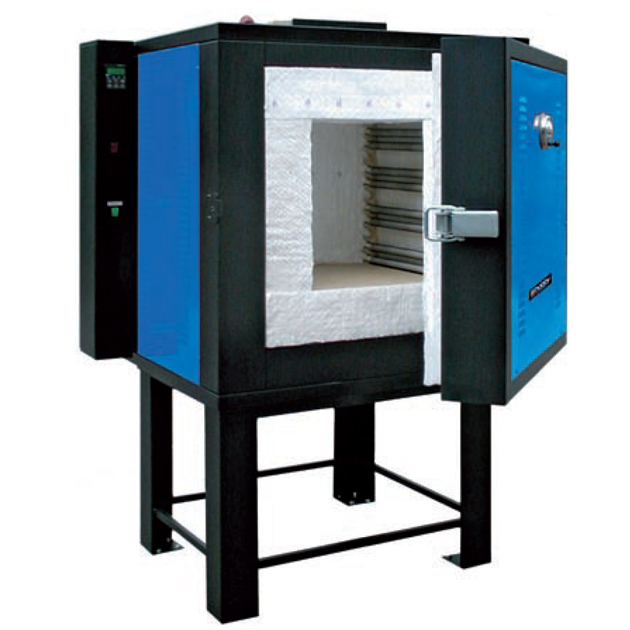 A high temperature version of our 'Blue Box' kiln. Front loading chamber with a computer control integrated into the side panel, capable of firing programs of your own construction at your chosen rates (speeds) to your chosen temperatures and hold times. Very efficient, thick walled construction hangs on to the heat within the chamber, the outer walls remaining impressively cool even at high temperature firings. Coems with shelves and props as shown below, as well as a very strong metal table for the kiln to stand on.